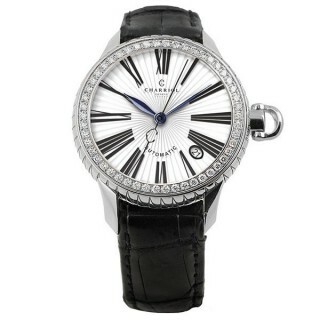 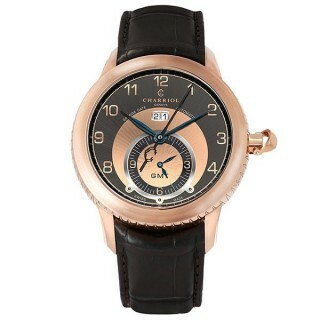 36mm steel case, prune sun-brushed 12 white diamonds 0.06Cts dial, prune calf crocodile pattern strap, Swiss movement. 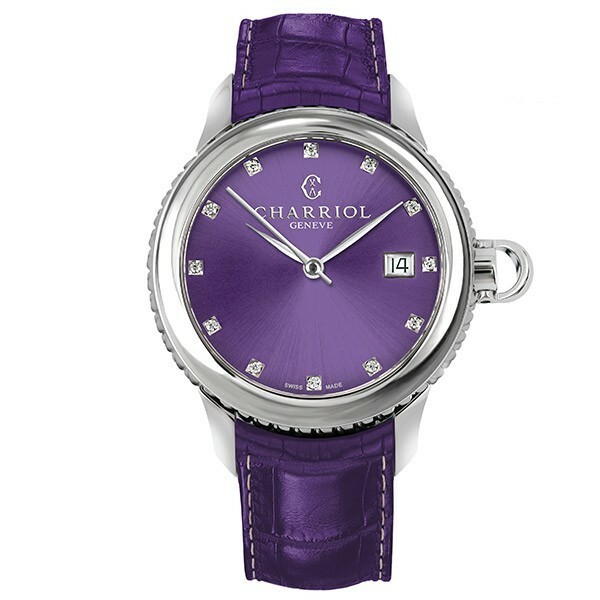 CHARRIOL’s COLVMBVS collection welcomes a new quartz timepiece for women: an exuberant, all-plum edition. Wearable, feminine and expertly crafted, COLVMBVS Prune commands attention with its bold coloring, which evokes royalty and reflects the CHARRIOL house color. 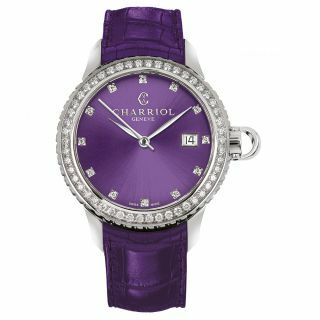 Nautical and nice - go for vibrant color and sparkling luxury with this all-plum Columbus-inspired watch, embellished with 12 white diamonds. 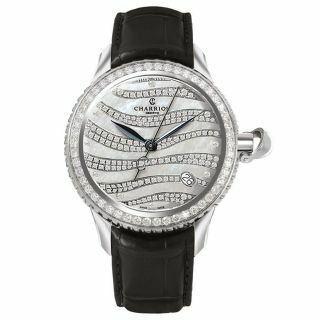 A stylish and exuberantly-colored timepiece, inspired by the adventurer Christopher Columbus and ideal for elegant accessorising. 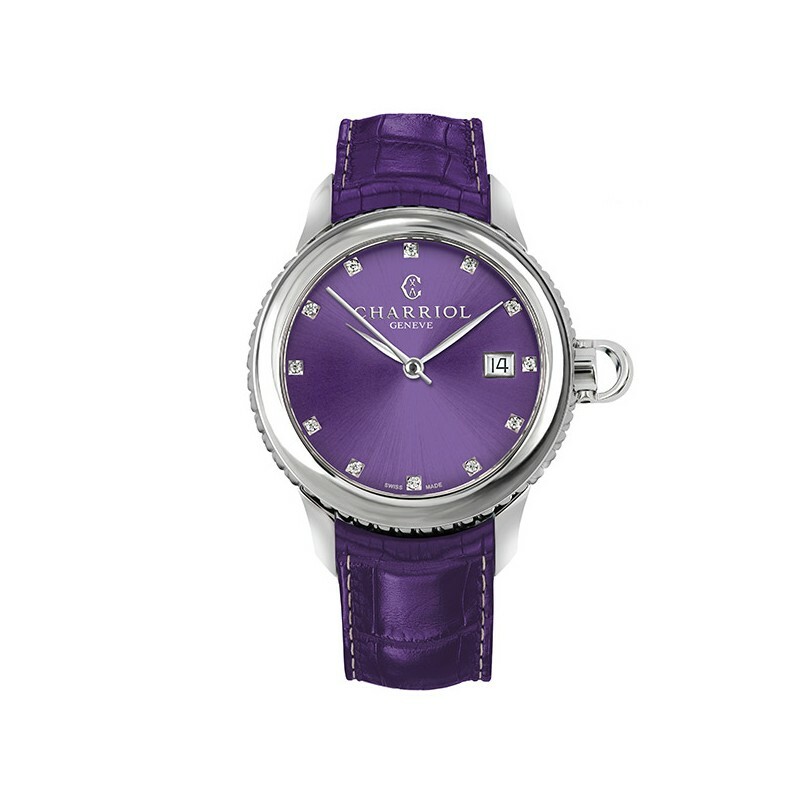 Made in Switzerland, this all-plum watch features a purple dial decorated with 12 round white diamonds, a Quartz movement and a purple leather strap embossed with a crocodile pattern. 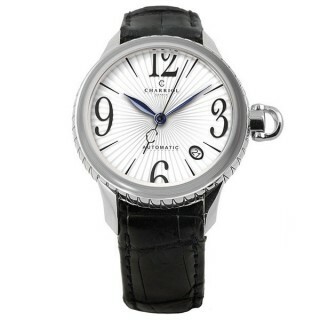 Subtle nautical details include the case’s scalloped edge to represent the points of a compass rose and the crown, which mimics the ‘clevis’, a motif borrowed from sailboat rigging. 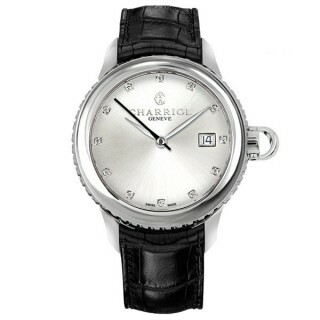 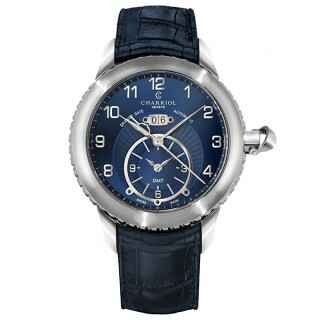 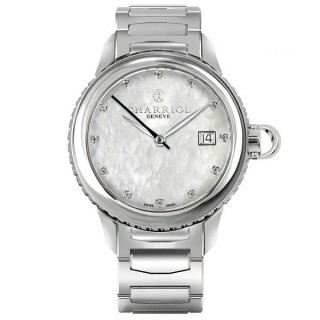 Flawlessly feminine and luxurious, this wearable watch showcases Charriol craftsmanship and style at its best.